The paper with this title co-authored by R. Ruffini, M. Karlica, N. Sahakyan, J.A. Rueda, Y. Wang, G.J. Mathews, C.L. Bianco and M. Muccino has been accepted for publication by the Astrophysical Journal (ApJ) on October 21, 2018. In this paper our group presents an important paradigm shift in contrast to the traditional ultrarelativistic external shock scenario of the GRB afterglows which can be found in most of traditional literature. For our first investigation we used data of famous GRB 130427A with time resolved afterglow observations from radio till GeV band in timeframe from 604 till 5184000 seconds after the trigger. From model independent measurements for GRB 130427A of thermal emission expansion from 196 till 461 seconds after trigger with inferred velocity v/c~0.95 and corresponding Lorentz factor Γ~3 which decays after 16.7 days toward v/c~0.1 based of FeII 5169 measurements it was clear that the traditional ultrarelativistic scenario could not be used for description of afterglow. Another novelty of this paper is the build up of synchrotron radiation within hypernova ejecta magnetized by the newly born neutron star as expected by the BdHN model of long GRBs. Following the geometry and strength of the newly born pulsar’s magnetic field together with the mildly relativistic expansion of hypernova ejecta it was possible to asses and solve the kinetic equation for radiating electrons giving us the spectral evolution of synchrotron radiation which fit genuinely well with observed time resolved spectra of GRB 130427A as shown on figure 1. Fig. 1. Model evolution (lines) of synchrotron spectral luminosity at various times compared with measurements (points with error bars) in various spectral bands for GRB 130724A. Analysis presented in this paper goes more in line with the long GRB-SN connection cause all of the known supernovae associated with long GRBs, among them SN 2013cq associated with GRB 130427A, are broad lined type Ic supernovae indicating a binary system progenitor what is also expected by BdHN GRB model. Also it stresses the importance of model independent expansion velocity measurements of GRBs in afterglow phase which are an crucial ingredient in understanding of the astrophysical system and their subsequent theoretical treatment. The official ceremony held on 14 November 2018 in the Campus Bio-Medico University. From left to right: Prof.ssa Simonetta Filippi, the President Raffaele Calabrò, Dr Benedetto Marino, Prof. Marco Tavani, Prof. Remo Ruffini, Prof. Paolo Giommi, Prof. Christian Cherubini. On the 11 October 2018, ICRANet established a collaboration agreement with the Campus Bio-Medico University of Rome – Italy, which will be valid for 2 years. 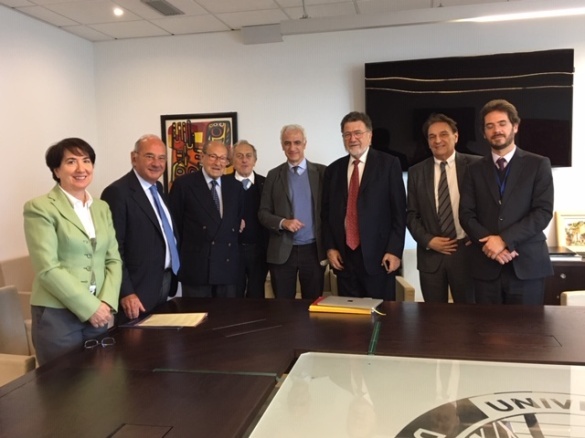 The document was signed by Prof. Raffaele Calbrò (President) and by Dr Andrea Rossi (Director General) for the Campus Bio-Medico University and by Prof. Ruffini, Director of ICRANet. In order to celebrate the signature, the Campus Bio-Medico University organized an official ceremony in their seat in Rome, on Wednesday 14 November 2018, at the presence of Prof. Ruffini (Director of ICRANet), Raffaele Calabrò (President of Campus Bio-Medico), Prof.ssa Simonetta Filippi (Campus Bio-Medico), Prof. Christian Cherubini (Campus Bio-Medico), Prof. Paolo Giommi (ASI) , Prof. Marco Tavani (INAF) and Dr. Benedetto Marino. The main joint activities to be developed under the framework of this agreement include: the promotion of theoretical and observational activities within the field of Relativistic Astrophysics; the joint collaboration of faculty members, researchers, post-doctorate fellows and students; the organization of training and teaching courses, seminars, conferences, workshops or short courses, and the joint work on scientific publications. On the 7 November 2018, professor Ruffini took part in the 13th Meeting of the MSCA Advisory Group, held in Brussels. The MSCA financially support researchers at all stages of their careers, irrespective of nationalities and disciplines. Funding may be attributed to individual researchers, networks, staff exchange programmes and doctoral/postdoctoral programmes. In addition to providing research funding, MSCA enable scientists to gain international, inter-sectoral and interdisciplinary experience and to complete their scientific training with transferable competences that will enhance their employability and career prospects. During the meeting, the Horizon 2020 (H2020) Advisory Group for the Marie Skłodowska Curie Actions worked on the preparation of a report focused on the 2020 part of the H2020 Working Programme (WP) for the period 2018-2020. A more comprehensive report will be prepared next year. 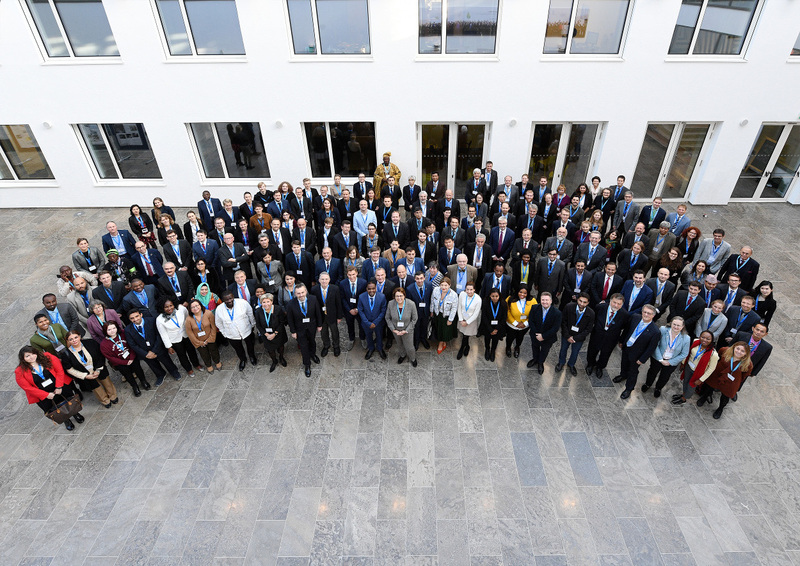 From the 13 to the 16 November 2018, Professor Ruffini, director of ICRANet, attended the High Level Forum “The way forward after UNISPACE+50 and on Space2030”, organized by the United Nations Office for Outer Space Affairs (UNOOSA) and the German Space Administration (DLR). This High Level Forum served as an important platform for providing updates and recommendations on the potential of space innovations to address new and emerging sustainable development challenges. As the first High Level Forum after UNISPACE+50, this meeting offered the opportunity to discuss the outcomes on UNISPACE+50, across two days of sessions on the thematic priorities, followed by two days of high-level panel discussions focusing on the four pillars: Space Diplomacy, Space Society, Space Economy and Space Accessibility. During the meeting, Professor Ruffini presented a poster titled “The Role of Space Sciences for Relativistic Astrophysics in the knowledge of our Universe”, demonstrating the latest research results obtained by ICRANet scientists. In November 2018 the Belarusian Republican Foundation for Fundamental Research (BRFFR) and ICRANet announced a call for proposals for joint basic research projects in relativistic astrophysics. The scientific areas covered by the call are Relativistic astrophysics, Cosmology and Gravitation. Joint applications from international research teams, including Belarusian scientists, have to be submitted simultaneously using agreed application forms to both organizations: Belarusian team apply to the BRFFR, international ones – to ICRANet. The duration of the projects is up to 2 years, and the deadline for applications is December 14, 2018. 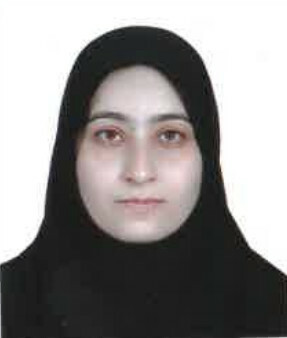 Ms Somayyeh Mahmoudikooshkeqazi and Saeidehalsadat Modaresvamegh. 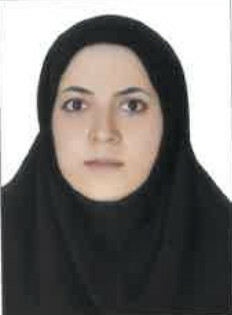 From the 3 November to the 8 December 2018, 2 Iranian students from Shiraz University visited ICRANet center in Pescara, in the framework of the Memorandum of Understanding between the two Institutions: Mrs Somayyeh Mahmoudikooshkeqazi and Saeidehalsadat Modaresvamegh. During their visit, the students had the opportunity to discuss their scientific research and to have fruitful exchange of ideas with other ICRANet researchers from different parts of the world. J. A. Rueda, R. Ruffini, L. M. Becerra, C. L. Fryer, Simulating the induced gravitational collapse scenario of long gamma-ray bursts, International Journal of Modern Physics A, Volume 33, Issue 31, id. 1844031 (2018), published on 19 November 2018. 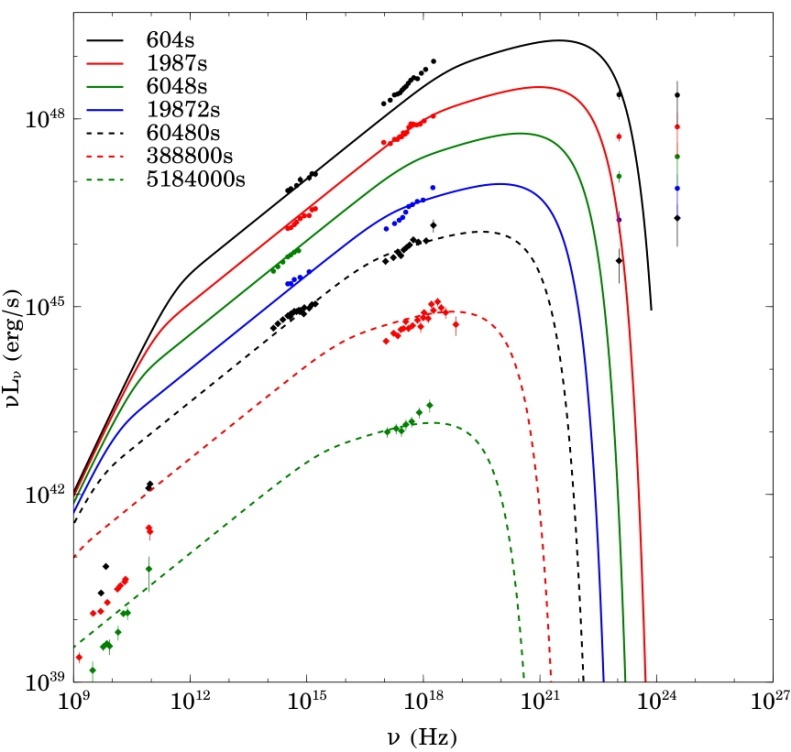 We present the state-of-the-art of the numerical simulations of the supernova (SN) explosion of a carbon-oxygen core (COcore) that forms a compact binary with a neutron star (NS) companion, following the induced gravitational collapse (IGC) scenario of long gamma-ray bursts (GRBs) associated with type Ic supernovae (SNe). We focus on the consequences of the hypercritical accretion of the SN ejecta onto the NS companion which either becomes a more massive NS or gravitationally collapses forming a black hole (BH). We summarize the series of results on this topic starting from the first analytic estimates in 2012 all the way up to the most recent three-dimensional (3D) smoothed-particle-hydrodynamics (SPH) numerical simulations in 2018. We present a new SN ejecta morphology, highly asymmetric, acquired by binary interaction and leading to well-defined, observable signatures in the gamma- and X-rays emission of long GRBs. M. A. Prakapenia, I. A. Siutsou, G. V. Vereshchagin, Thermalization of electron–positron plasma with quantum degeneracy, Physics Letters A, available online from 25 October 2018, in press. The non-equilibrium electron–positron–photon plasma thermalization process is studied using relativistic Boltzmann solver, taking into account quantum corrections both in non-relativistic and relativistic cases. Collision integrals are computed from exact QED matrix elements for all binary and triple interactions in the plasma. It is shown that in non-relativistic case (temperatures kBT ≤ 0.3 mec2) binary interaction rates dominate over triple ones, resulting in establishment of the kinetic equilibrium prior to final relaxation towards the thermal equilibrium, in agreement with the previous studies. On the contrary, in relativistic case (final temperatures kBT ≥ 0.3 mec2) triple interaction rates are fast enough to prevent the establishment of kinetic equilibrium. It is shown that thermalization process strongly depends on quantum degeneracy in initial state, but does not depend on plasma composition. Ruffini, R.; Becerra, L.; Bianco, C. L.; Chen, Y. C.; Karlica, M.; Kovacevic, M.; Melon Fuksman, J. D.; Moradi, R.; Muccino, M.; Pisani, G. B.; Primorac, D.; Rueda, J. A.; Vereshchagin, G. V.; Wang, Y.; Xue, S.-S., On the ultra-relativistic Prompt Emission (UPE), the Hard and Soft X-ray Flares, and the extended thermal emission (ETE) in GRB 151027A, accepted for publication in The Astrophysical Journal on 3 November 2018. We analyze GRB 151027A within the binary-driven hypernova (BdHN) approach, with progenitor a carbon-oxygen core on the verge of a supernova (SN) explosion and a binary companion neutron star (NS). The hypercritical accretion of the SN ejecta onto the NS leads to its gravitational collapse into a black hole (BH), to the emission of the GRB and to a copious e+e− plasma. The impact of this e+e− plasma on the SN ejecta explains the early soft X-ray flare observed in long GRBs. We here apply this approach to the UPE and to the hard X-ray flares. We use GRB 151027A as a prototype. From the time-integrated and the time-resolved analysis we identify a double component in the UPE and confirm its ultra-relativistic nature. We confirm the mildly-relativistic nature of the soft X-ray flare, of the hard X-ray flare and of the ETE. We show that the ETE identifies the transition from a SN to the HN. We then address the theoretical justification of these observations by integrating the hydrodynamical propagation equations of the e+e− into the SN ejecta, the latter independently obtained from 3D smoothed-particle-hydrodynamics simulations. We conclude that the UPE, the hard X-ray flare and the soft X-ray flare do not form a causally connected sequence: Within our model they are the manifestation of the same physical process of the BH formation as seen through different viewing angles, implied by the morphology and the ∼300s rotation period of the HN ejecta. Ruffini, R.; Karlica, M.; Sahakyan, N.; Rueda, J. A.; Wang, Y.; Mathews, G. J.; Bianco, C. L.; Muccino, M., On a GRB afterglow model consistent with hypernovae observations, accepted for publication in The Astrophysical Journal on 21 October 2018. We describe the afterglows of the long gamma-ray-burst (GRB) 130427A within the context of a binary-driven hypernova (BdHN). The afterglows originate from the interaction between a newly born neutron star (νNS), created by an Ic supernova (SN), and a mildly relativistic ejecta of a hypernova (HN). Such a HN in turn results from the impact of the GRB on the original SN Ic. The mildly relativistic expansion velocity of the afterglow (Γ∼3) is determined, using our model independent approach, from the thermal emission between 196 s and 461 s. The power-law in the optical and X-ray bands of the afterglow is shown to arise from the synchrotron emission of relativistic electrons in the expanding magnetized HN ejecta. Two components contribute to the injected energy: the kinetic energy of the mildly relativistic expanding HN and the rotational energy of the fast rotating highly magnetized νNS. We reproduce the afterglow in all wavelengths from the optical (1014Hz) to the X-ray band (1019Hz) over times from 604s to 5.18×106 s relative to the Fermi-GBM trigger. Initially, the emission is dominated by the loss of kinetic energy of the HN component. After 105 s the emission is dominated by the loss of rotational energy of the νNS, for which we adopt an initial rotation period of 2~ms and a dipole plus quadrupole magnetic field of ≲7×1012G or ∼1014 G. This scenario with a progenitor composed of a COcore and a NS companion differs from the traditional ultra-relativistic-jetted treatments of the afterglows originating from a single black hole.